Meteorological equipment specialist Biral is expanding and has taken on an experienced sales specialist to add to its growing team. The company appointed Hugo Aniksztejn in January as an International Sales Specialist, who is responsible for the Lightning Strike Warning product family worldwide. He introduces distributors and manufacturers to Biral and sets up distribution networks to supply BTD products into targeted markets. These include the industrial, golf and leisure industries. 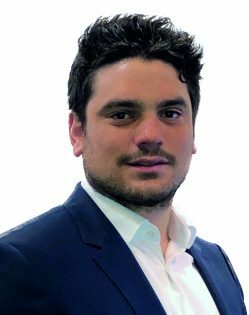 Hugo has joined Biral following a role as the International Sales Manager for MK Test Systems in Taunton, where he was responsible for direct selling into aerospace, rail, defence and oil and gas. This position involved both direct and indirect sales and managing an extensive distribution network in South America, Northern Europe, Canada and Israel. As well as his role in international sales, Hugo has also previously worked in marketing and business development and has a Master’s degree in International Business Management. Hugo brings with him an extensive knowledge of technical and business expertise and an understanding of the value of customer service, which will assist the ongoing growth of Biral in the UK and overseas. Further information is available from Biral, call +44 1275 847787 or complete our enquiry form. For further editorial information contact Nathan Neal of Biral on +44 1275 847787, email: enquiries@biral.com or Julia Fitzgerald of Vantage PR on +44 1600 715251, email pr@vantage.uk.com. Established in 1975 Biral is a leading manufacturer of meteorological instruments and supplies the international market with one of the largest ranges of products available. Its scope extends from sensors to measure wind, temperature, precipitation, visibility, solar radiation and other standard parameters to present weather sensors and complete weather stations. The company’s products can be used across a diverse number of applications in the aviation, oil and gas, marine and wind energy markets as well as for roads and highways. Biral is also a specialist in the design, manufacture and supply of particle analysis and climate research instruments for science, industry and the environment. Meteorological equipment specialist Biral is expanding and has taken on an experienced sales specialist to add to its growing team. The company appointed Hugo Aniksztejn in January as an International Sales Specialist, who is responsible for the Lightning Strike Warning product family worldwide.